One stop solution to provide you the simple and powerful text editing on your Android device is Notepad – Text Editor. Having the advantage of font style selection, theme selection and font size makes your notes look just as you want. 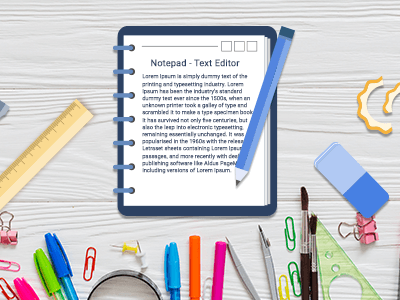 Notepad has been the easiest text editing app for Android as it can also fetch your files even from your memory card. With simplest and unique user interface design of the app, makes your text editing as your best mobile experience. With 1 million downloads Notepad – Text Editor App allows the users to edit and share the documents whenever and wherever you want. It is simple app to open, edit, delete, rename and save text files to and from the SD card. – And much more!! Explore it today.